6 billion gallons. That’s a lot of gallons, people. Let’s start with boring but telling numbers from the U.S. Department of Energy, which estimates that we waste 6 billion gallons of fuel a year by idling our cars and trucks. About half of that is from personal vehicles, which consume, on average, 12 gallons of fuel per vehicle per year from idling – enough to fill most gas tanks. 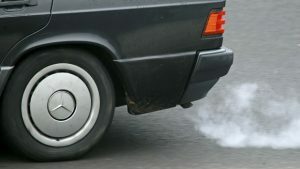 Nationwide, idling costs $8 billion a year, and spews an extra 30 million tons of carbon dioxide into the air we breathe.